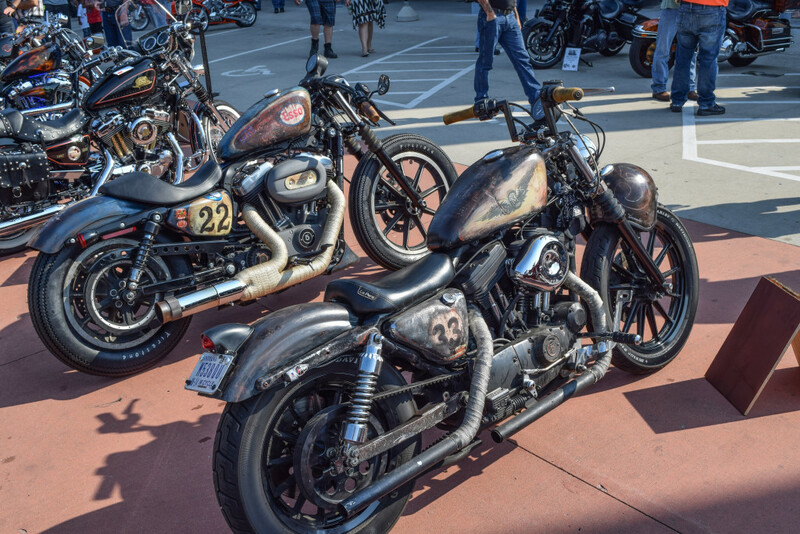 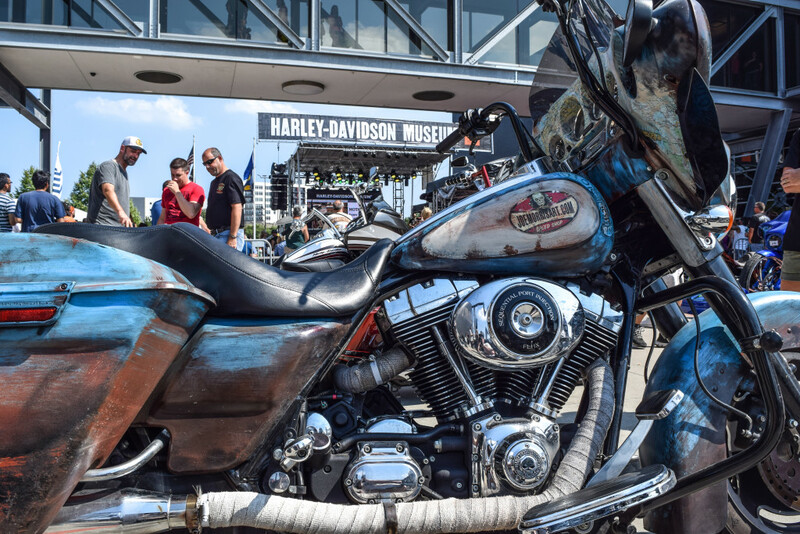 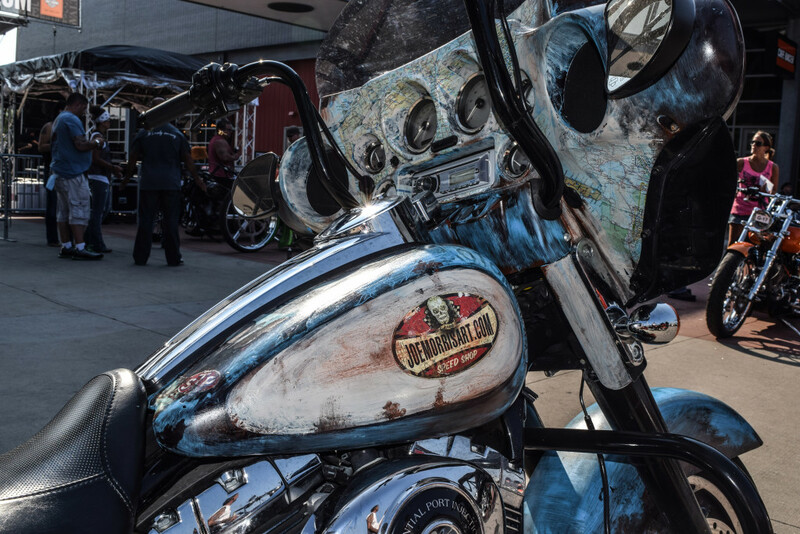 JMOTO gets 4 custom bikes into the Harley Davidson Custom Bike Show. 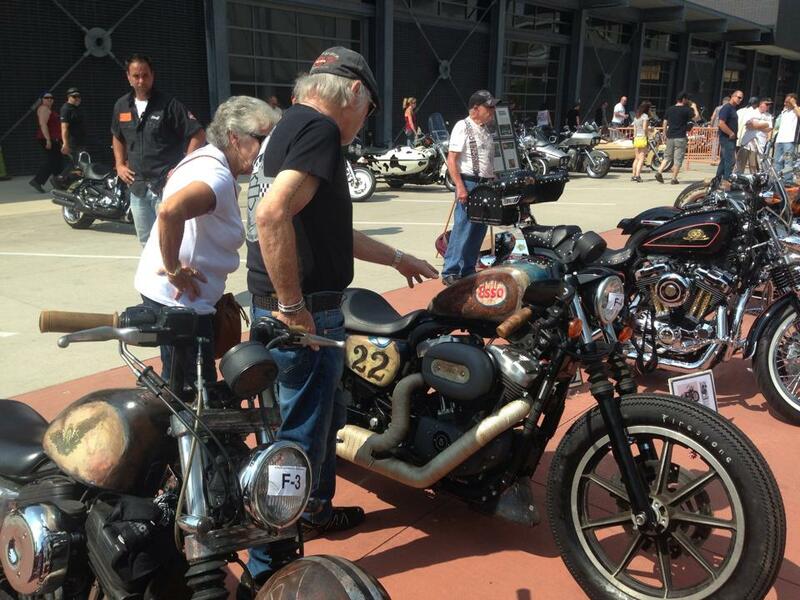 Willie G Davidson stopped to take a special look at the JMOTO Esso bike built by Mike Hoj at Hoj Poj Garage. 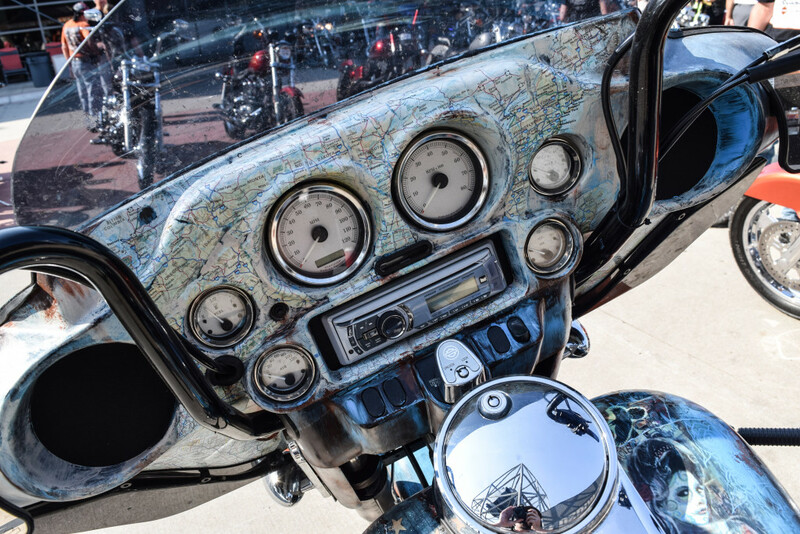 Everyone was talking about the JMOTO bagger with a map of the United States in the dash.